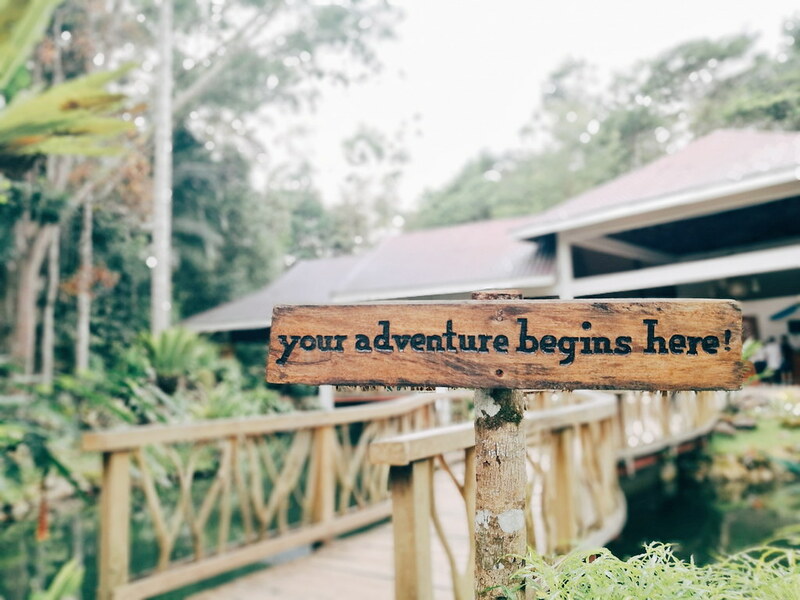 Who would have thought you can explore the countryside of Bohol in less than 12 hours?! Crazy, right? But we did it! And it was an overwhelming, super fun, and memorable experience! I have mentioned it in one of my previous posts that it wasn't my first time to go to Bohol. 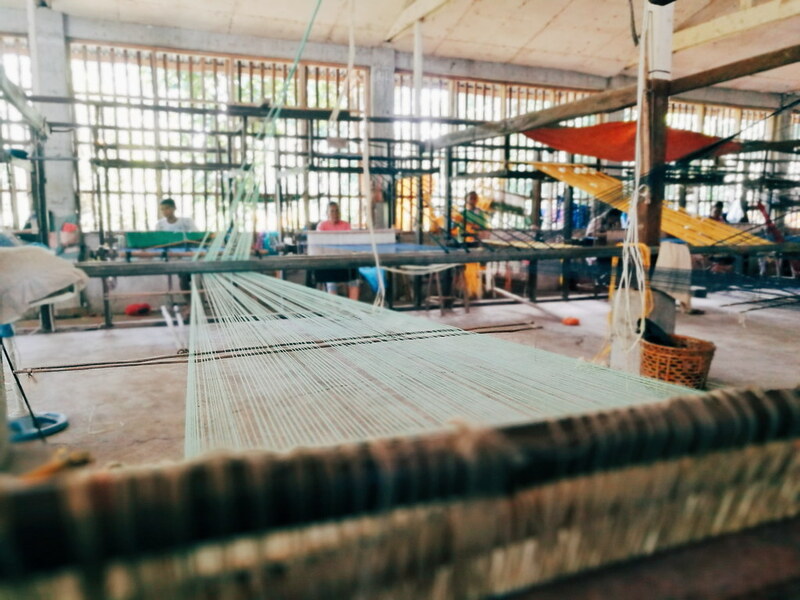 However, it was my first time to wander around Tagbilaran City and see its what it has to offer. 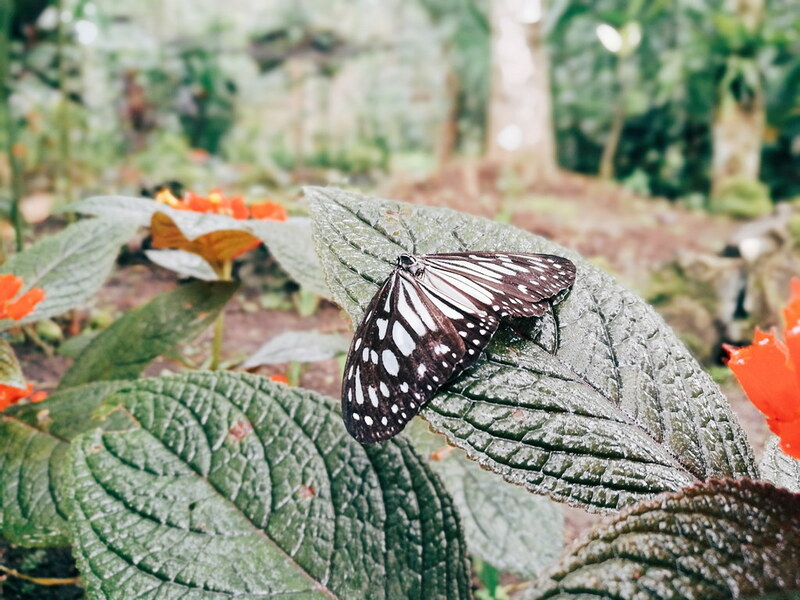 We were able to visit seven beautiful spots and went back home to Cebu, tired yet satisfied! Our assembly time was 6:30 AM since we were taking the 7:30 AM trip to Tubigon, Bohol via Fast Cat. 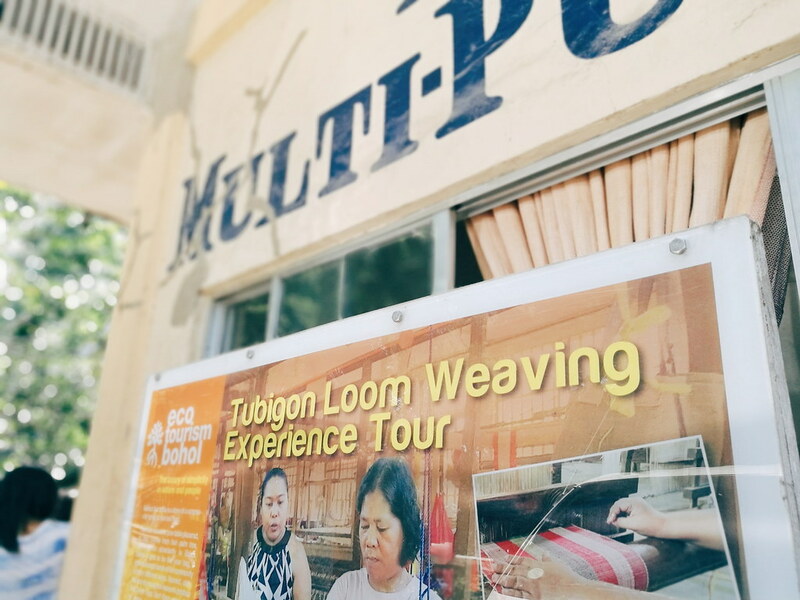 And at exactly 9 AM, an hour and 30 minutes after, we arrived at Tubigon Port. We were picked up by two vans and then we went to the Barangay Hall and Mayor's office for a courtesy call. After that, off we went to our Bohol day trip. 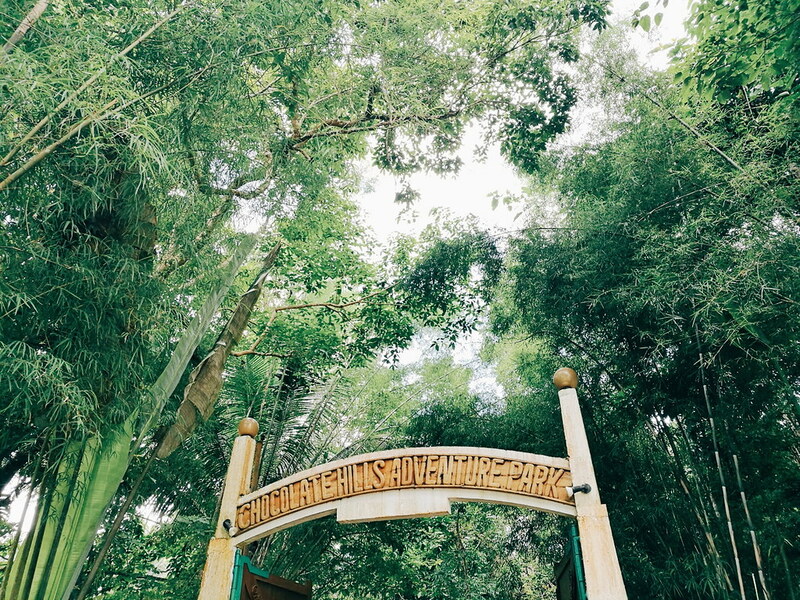 Our second stop was Chocolate Hills Adventure Park or CHAP. 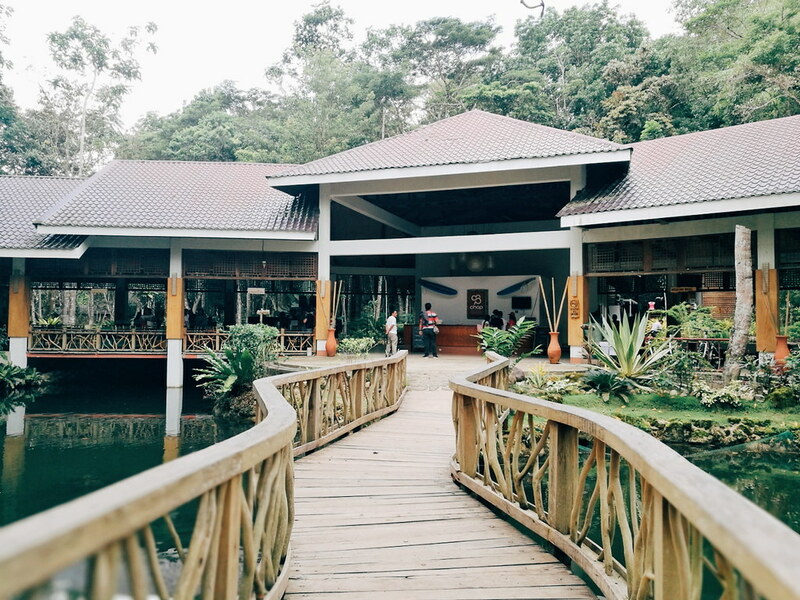 This is where we had a sumptuous buffet lunch, had a view of the Chocolate Hills, and went inside a butterfly garden. 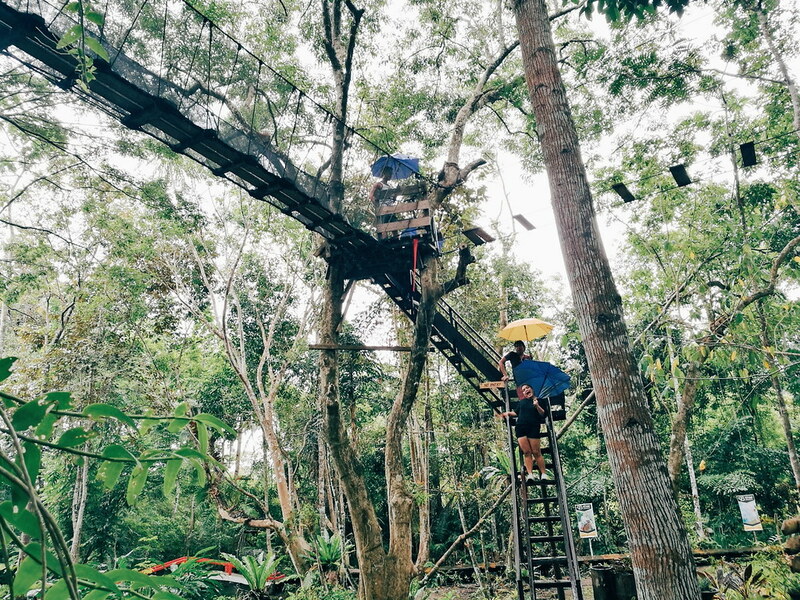 But if you're up for adrenaline-pumping activities, CHAP also offers bicycle zip line, surfboard zipline, rope courses, and more. It was raining at the time we finished our lunch. We started walking and were advised to go through a hanging bridge (see photo above). But our guide purposely tricked us into passing it to spice up our visit at CHAP. Haha. We were very exhausted when we finally reached the viewing deck and we were sweating profusely. But the view was worth it. 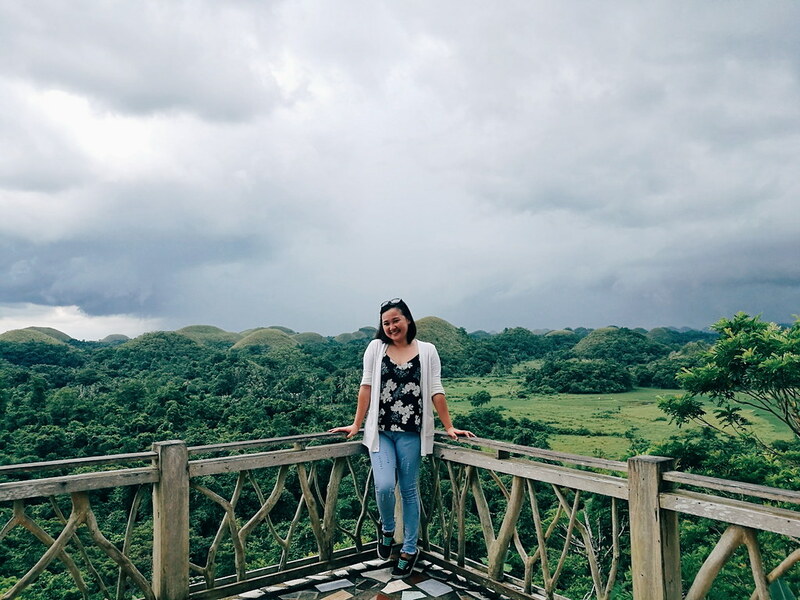 Though it wasn't the original Chocolate Hills viewing deck, where the hills appear nearer and larger, it was still a breathtaking view. This wasn't actually part of the itinerary but since it was on our way, we decided to stop and take the buwis-buhay photos. We'd have to wait for the road to be clear before we move on to our photo taking sessions. It was dangerous but really fun too. Our group photo was one of the most difficult because we really had to make the photo-taking quick. 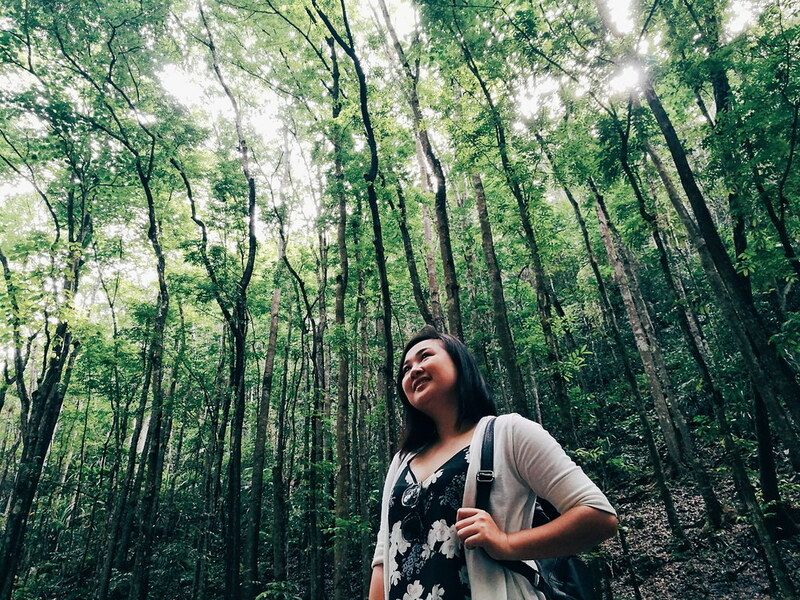 The man-made forest was simply breathtaking despite its danger factor. Lol. 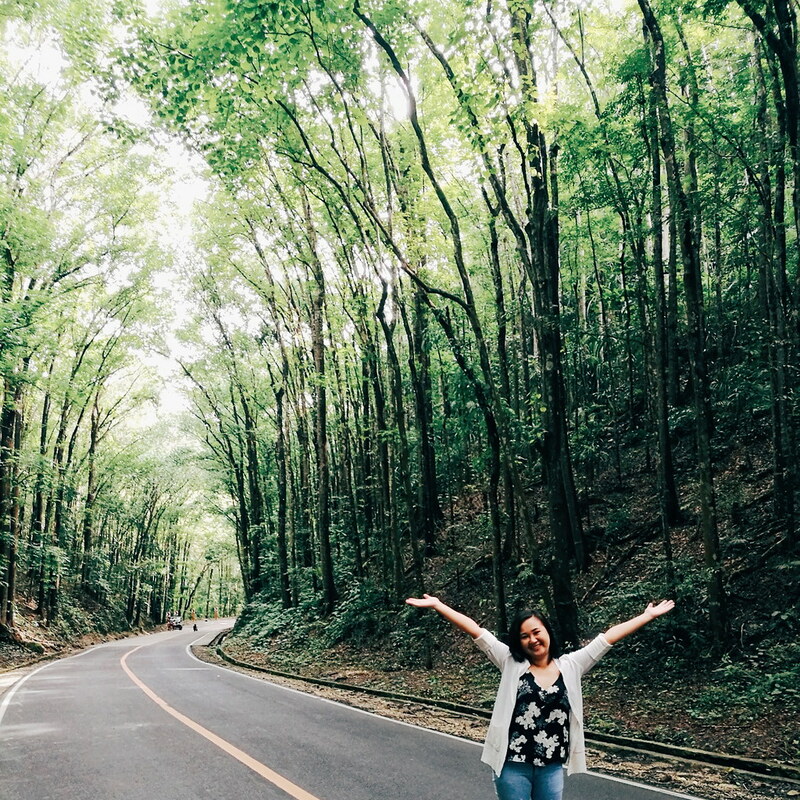 It was quite a long drive from the man-made forest going to the tarsier sanctuary. When we arrived there, the place was really quiet. 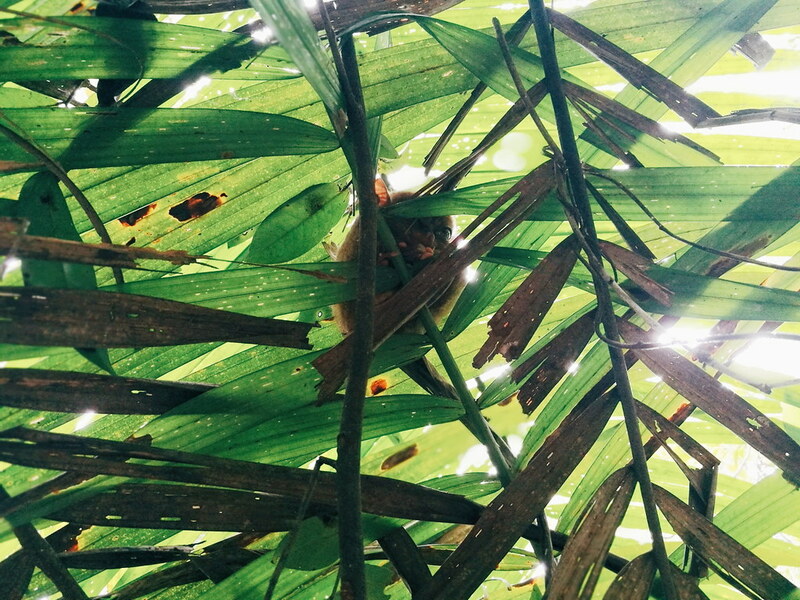 It's because the local staff strictly imposes visitors to keep quiet because tarsiers are nocturnal animals. We were also briefed shortly of the do's and don'ts. 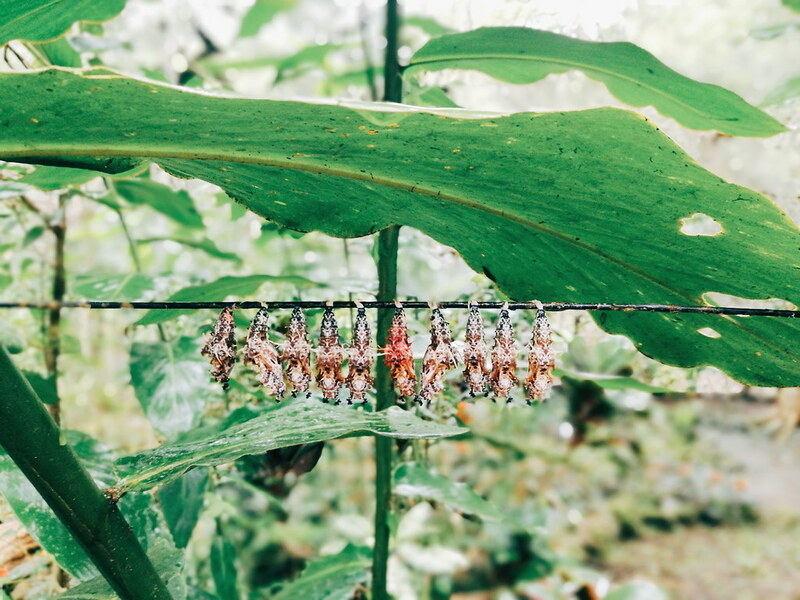 Though it was almost impossible to keep the noise down when the land we were stepping on had twigs and dried leaves, fortunately, no tarsiers were disturbed. Haha. I know that these tiny primates are endangered species but I learned something new during our visit. 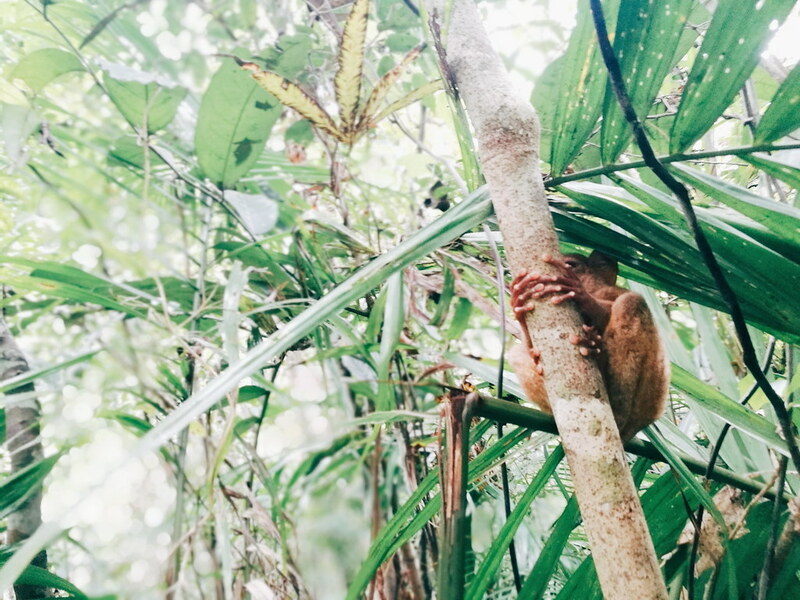 The tarsiers actually commit suicide when they are captured due to trauma in touching and noise. So if you guys, visit the sanctuary, please make sure to strictly follow their rules too. 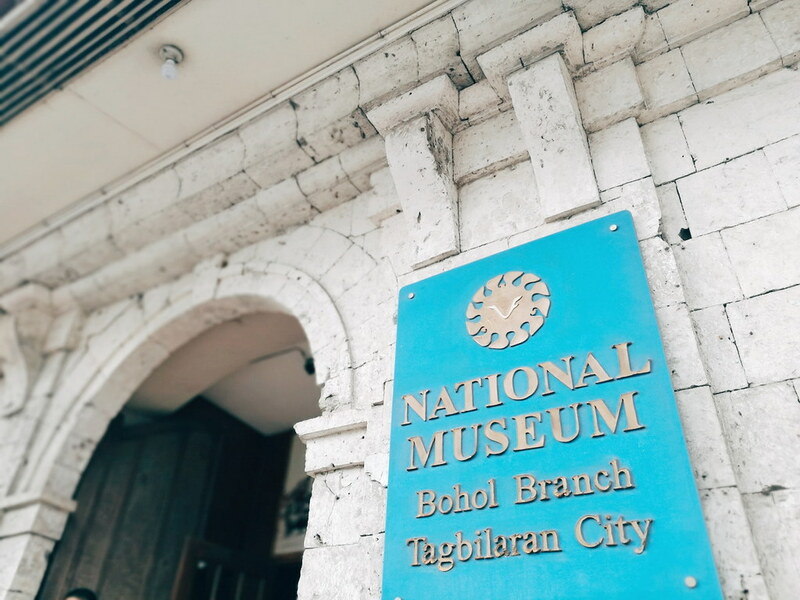 We drove back to the city proper of Tagbilaran and visited the Bohol National Museum. We were warmly welcomed by the staffs in charge at the museum and a professor who is known as an expert of Bohol's rich history. 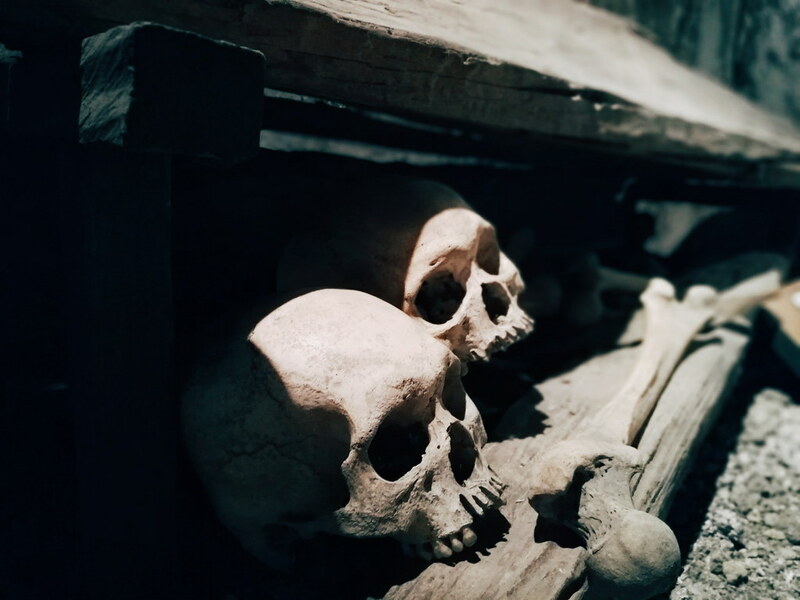 Every piece of relic was explained to us in detail, providing us insights on how the island of Bohol came to life and how Boholanos lived back then. 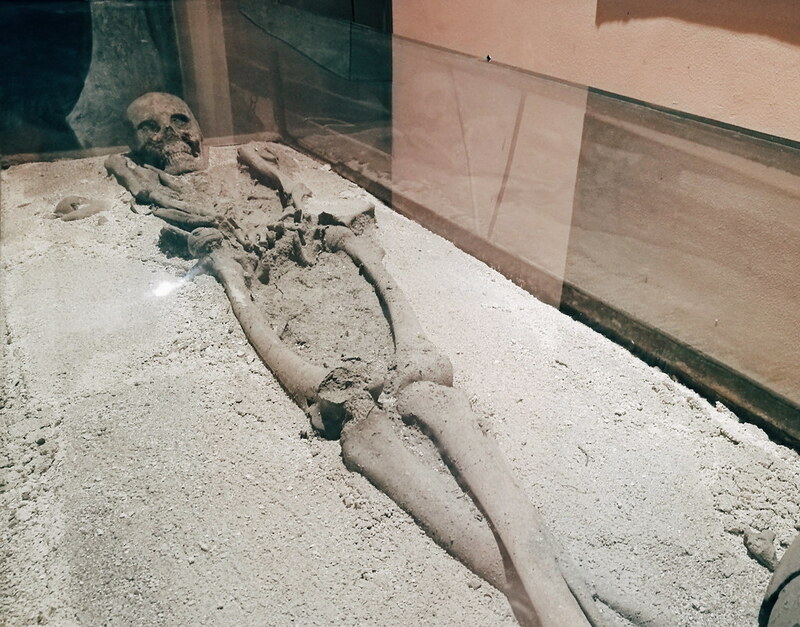 We also saw different remains of animals but what piqued my interest was the skeletal remains of a 500-year old Boholana. It was astoundingly weird. 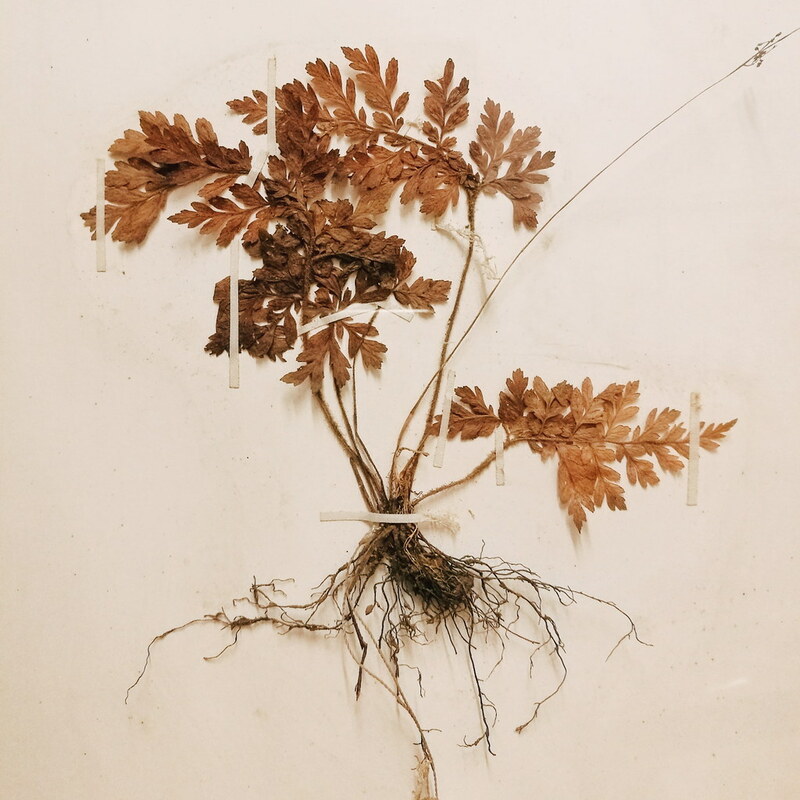 This is a 500-year old Boholana. 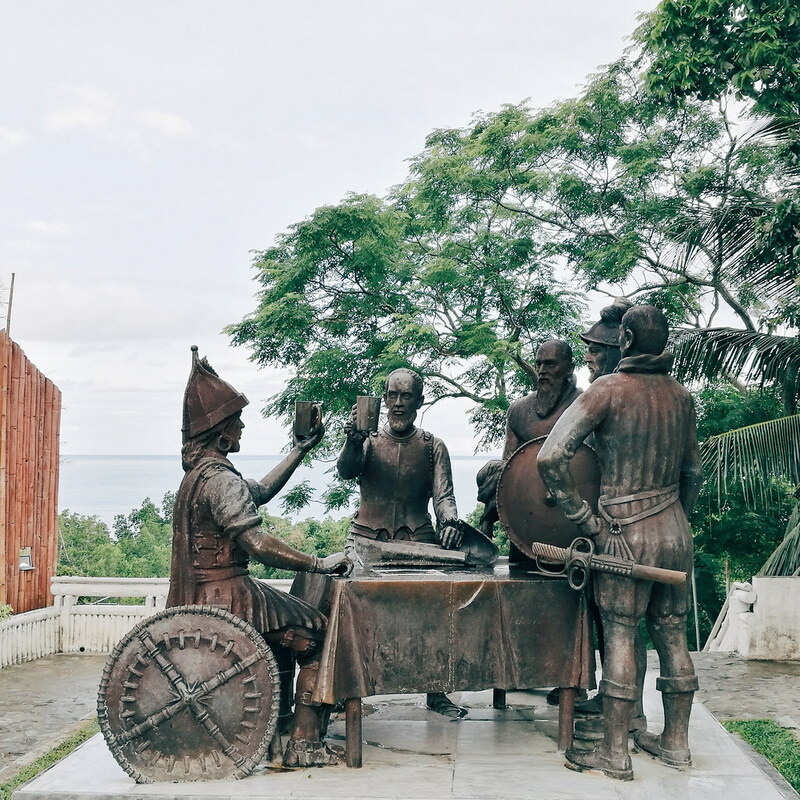 After an information overload visit at the museum, we went to the famous spot in Bohol - the Blood Compact Shrine. This compact site serves as a memorial ground of the first international treaty between the Spaniards and Filipinos centuries ago. We only took photos for a short while because we got distracted by the tiny pasalubong store just beside the compact site. 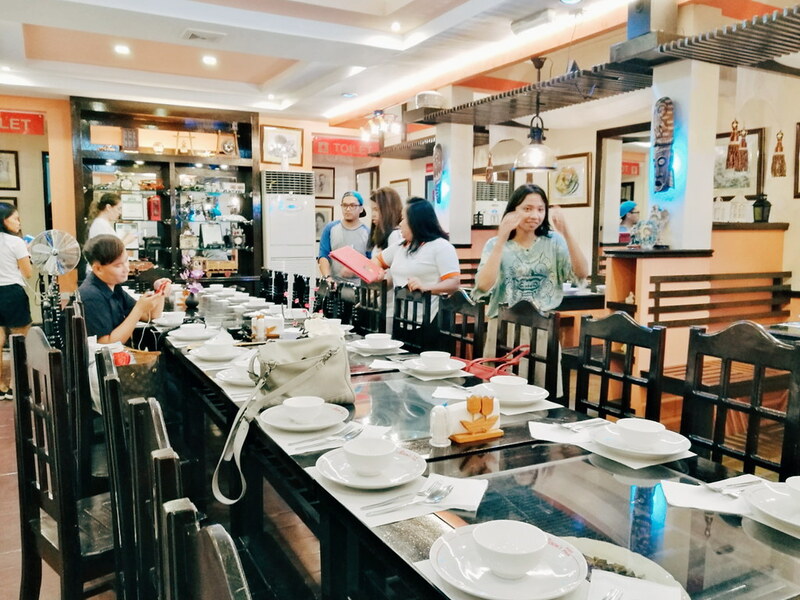 We got busy looking for possible pasalubongs and some of us bravely tried the chichaworm! This is the chichaworm. It's a famous delicacy in Bohol where cultured "super worms" are cooked and transformed into yummy, crunchy, chicharon-like treats. 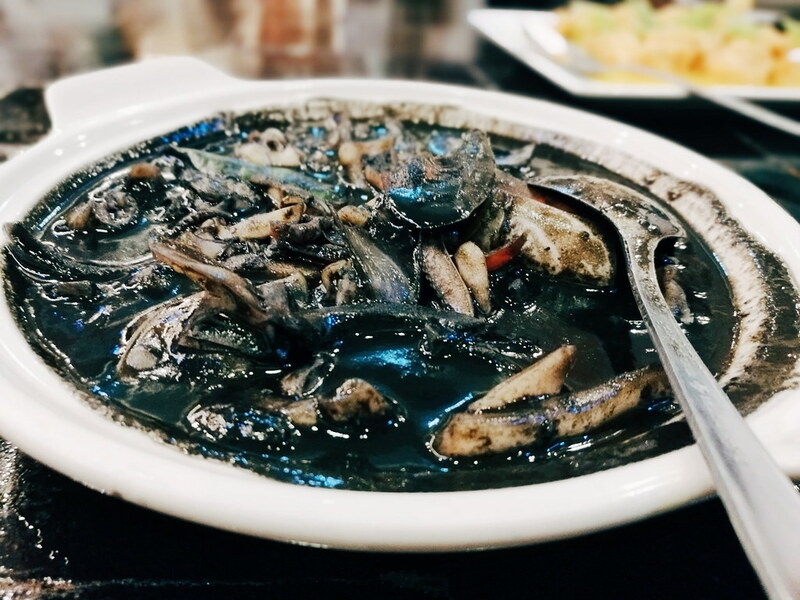 The thought of eating worms disgusted me but I decided I should try it to ease my judgment. It was yummy, actually. The worms were seasoned well so it's tasty and it doesn't have a gooey texture. In fact, the worm was hollow inside. 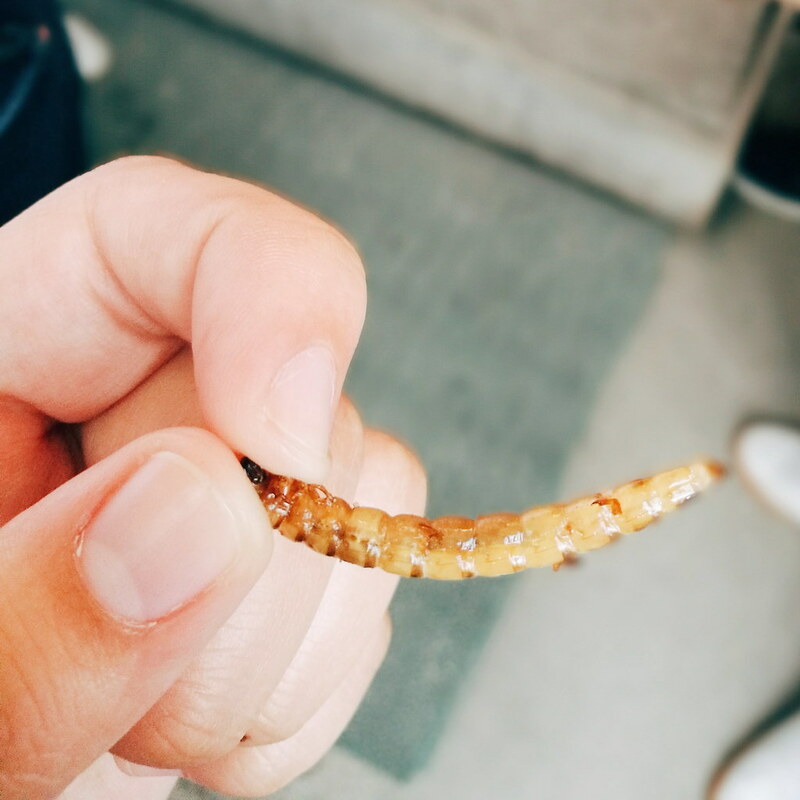 It was like eating crispy worm skin. You should try it when you go to Bohol too! Finally, our last stop was for dinner! Yay! 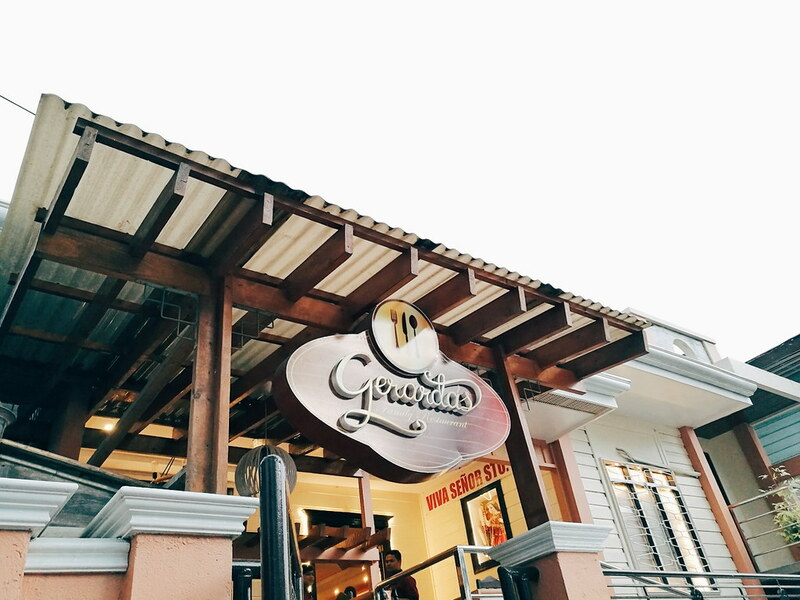 We went to the main branch of Gerarda's Place (they currently have two branches already) to have a sumptuous dinner. As you can see, Gerarda's is evidently an old house that was beautifully converted into a restaurant. 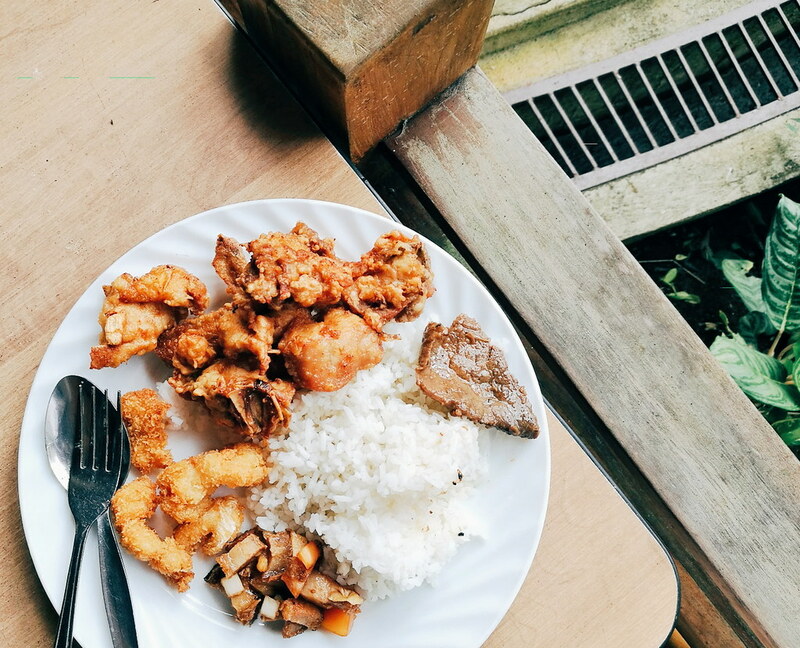 Gerarda's serves delicious, home-cooked Filipino meals. 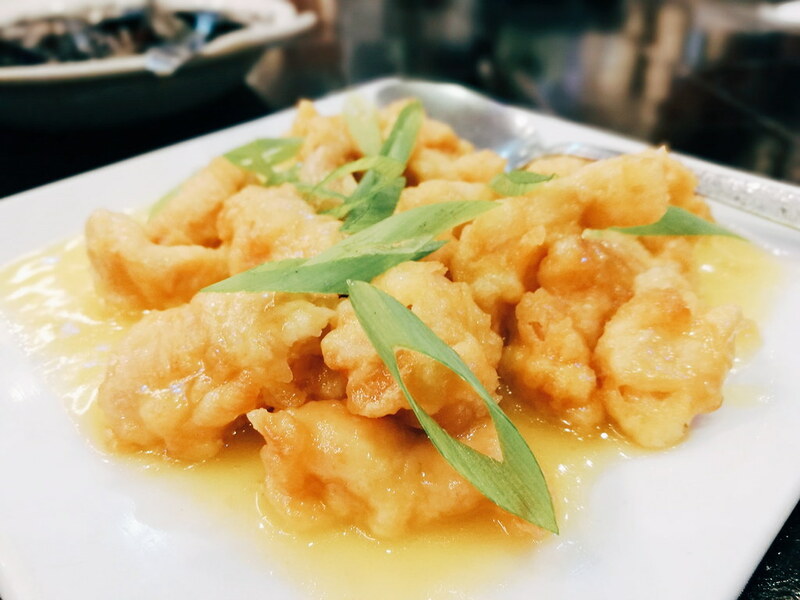 Though their prices are quite expensive, having a meal there is really worth it. Aw man, it's been forever since I've been to Bohol. The Blood Compact was actually my favorite tourist spot as opposed to seeing Chocolate Hills. Aaaaand I skipped on eating their delicacy when I was there... glad it tasted okay though! Waaaah really? Yes, that's the original viewing deck! Yung sobrang steep ng stairs? And waaaah we saw foreigners there too but they were so quiet naman. Tsk tsk. People should really know how to follow rules! Wow! 12 hours? That's crazy Jan! Although it's doable, I think I need more time when I travel since I tend to write/sketch and take photographs in transit. LOL. Great pictures by the way. Grabe dugaya na pud nato wa nagkita sa? Hahaha you'll need at least 2-3days, Anne! haha. As in! Murag CBC rajud ta gakita ato ba! 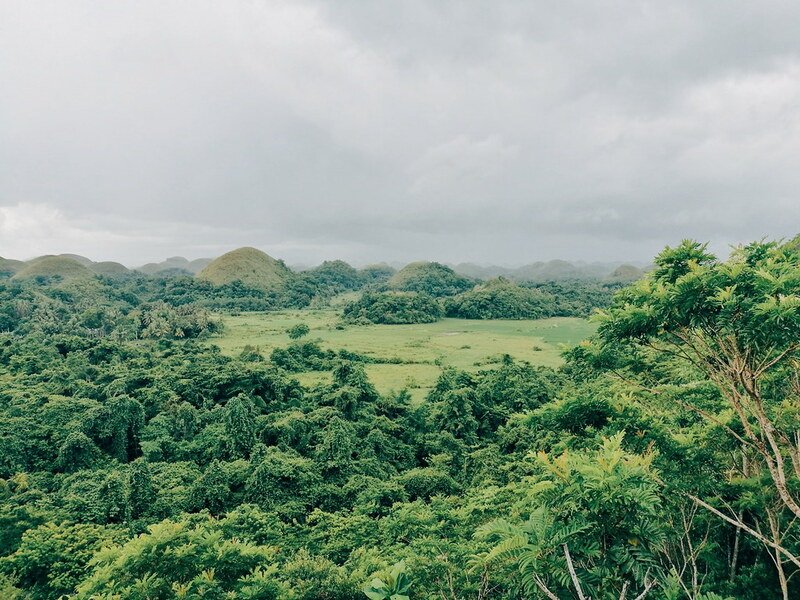 I never been to Bohol ever since though it is near in Cebu, but I really wanted to explore the place. Your photographs made me want to visit it soonest! Yay! How much did you spend by the way? Hi! How much did you spend? I would want to go there for a day only.